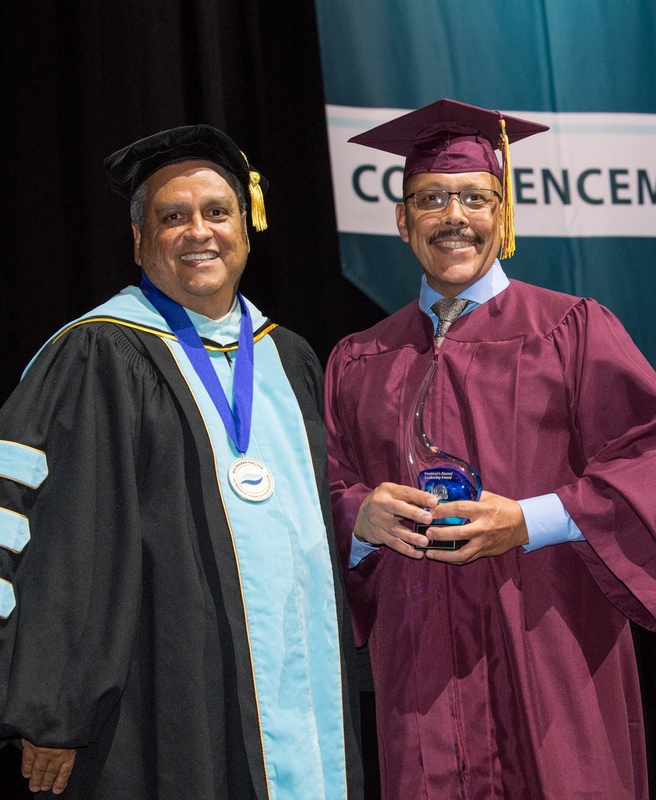 Rio Salado 2018 Graduation Celebrates 40 Years of Service to Non-Traditional Students! 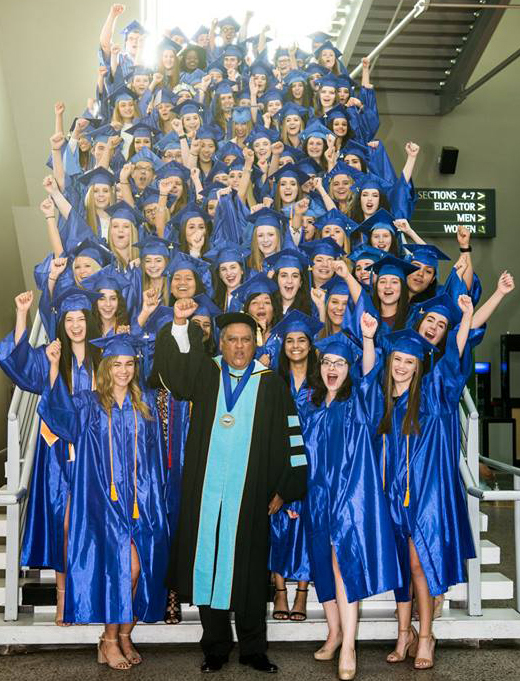 As part of its year-long 40th anniversary celebration, Rio Salado College is honoring and renewing its commitment to serving non-traditional students, including Maricopa County dual enrollment high school students, who represented nearly half of the 200+ students at the college’s May 9, 2018 graduation ceremony at Comerica Theatre in Phoenix. Of the 92 dual enrollment students in attendance, 50 were from Xavier College Prep-- the first high school Rio Salado partnered with in 1987 to launch its dual enrollment program, which helps nearly 7,000 Maricopa County students at 43 schools earn college and high school credits at the same time. 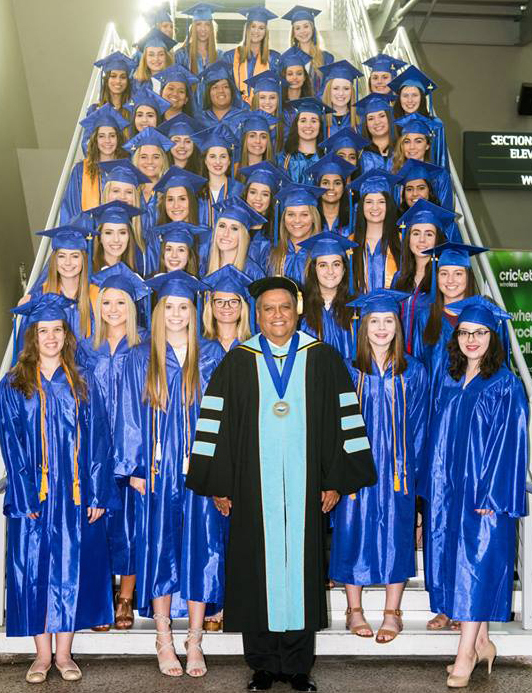 While the dual enrollment students had a big presence at the graduation ceremony, the program represents just one pathway to a college education. 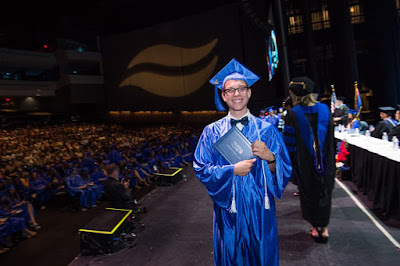 “Rio Salado College stands apart from other institutions here, and across the country for our innovative pathways to college, said Rio Salado President Chris Bustamante. A large population of non-traditional students served by the college are employees taking advantage of workforce training programs, including many law enforcement professionals like City of Tempe Assistant Chief of Police Angel Carbajal. President Bustamante recognized Carbajal during the graduation ceremony, as part of the official launch of the college’s 40th anniversary alumni association, by honoring him with the first President's Alumni Leadership Award for his dedicated community service and career in law enforcement, which has spanned 27 years. Carbajal was among the first students to complete a police academy training program launched in 1990 by the City of Phoenix Police Department in partnership with Rio Salado’s Educational Service Partnership team, which helped in the academic development of that training. Many of the recruits who complete this training today with select academies in Maricopa County and several states across the country, earn 39 credits toward a Certificate of Completion in Law Enforcement Technology from Rio Salado College. Like thousands of police academy graduates who have completed the program since the 90s, Carbajal would use those college credits toward completing a Bachelor's degree in Business Administration. 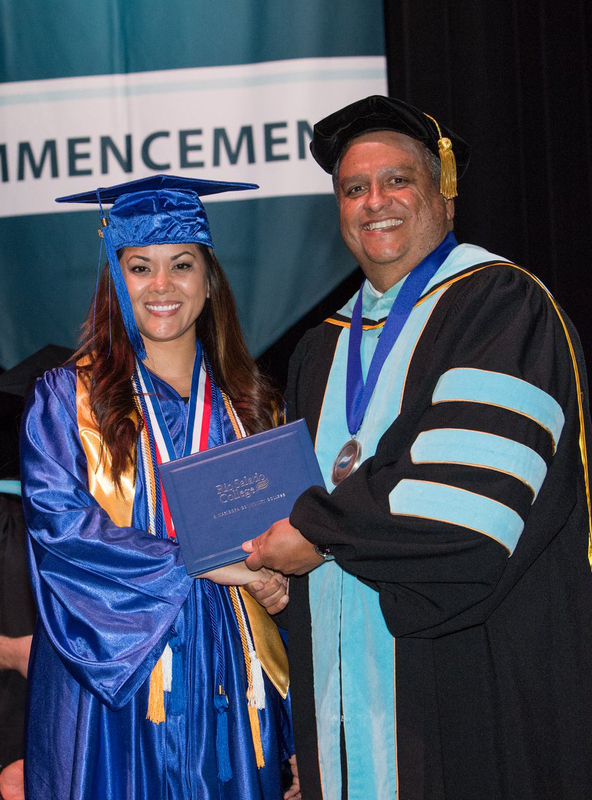 Among the most common of Rio Salado’s non-traditional students are parents who are working full-time or returning to school to get ahead like student speaker Jamie Peredo. A Gilbert, AZ mother of two, Peredo had already found a career field she loved – dental care. She just needed the college degree to advance her career. She chose Rio Salado College, and graduated with honors, earning an associate degree in dental hygiene. Peredo was one of two Rio Salado students named to the 2018 All-Arizona Academic Team (ALL AZ). 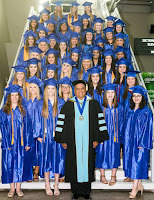 Students are chosen for demonstrating academic excellence and leadership and service to the community. The honor includes tuition to one of Arizona’s three state universities and a cash scholarship. Peredo is currently pursuing a bachelor’s degree in dental hygiene at Northern Arizona University. Peredo and the other students who attended the May graduation ceremony represented nearly 3,400 Rio Salado graduates from Arizona, 32 other states across the country as well as Australia and Poland. 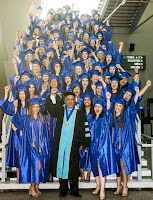 Together, they have earned more than 3,740 degrees, certificates and credentials during the 2017-18 academic year. Since 1978, Rio Salado has served more than 665,000 students, with more than 270,000 taking classes online, and has awarded more than 100,500 degrees and certificates.